As we seek to be a “light of the world” kind of church, we are looking for ways to have influence and make a difference. A Church gathered is a great thing, but a Church scattering to bring God’s love is a powerful movement. We want to bring the hope of Jesus into the heart of our city in practical ways. We have an opportunity approaching that enables us to help kids and families in midtown. So we’re organizing to Just Do It! We’re going to have 100 backpacks with a detailed list of what needs to go in each backpack. Each backpack will be given to a student on August 4th at the organizers event. 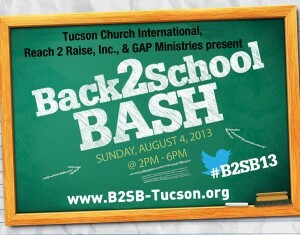 GAP Ministries and other organizations are organizing this Back to School Bash (backpack drive) for TUSD students in Title 1 schools. By us providing 100 backpacks stuffed with the detail supplies needed (indicated) and then donating another $10 – we’ll be able to give new BackPacks with their necessary supplies to 200 kids this year! Help us make a difference! Get a backpack for your family or for yourself from Elements in July and then stuff it, donate and deliver it back to us by Sunday July 28th. 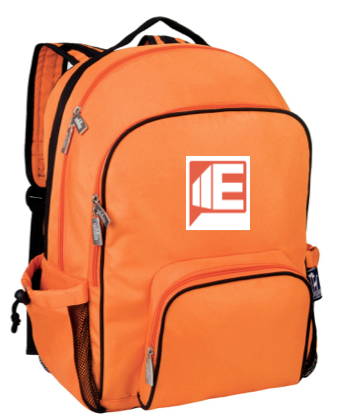 *please note: backpack graphic shown is an example – NOT the actually backpack we’ll be giving. GAP Ministries is providing the backpacks as they have purchased thousands for this drive.